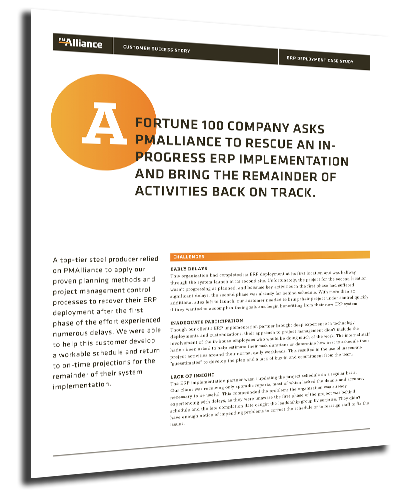 A top-tier steel producer relied on PMAlliance to apply our proven planning methods and project management control processes to recover their ERP deployment after the first phase of the effort experienced numerous delays. Learn how PMAlliance's Duration-Driven Methodology helped deliver this project on time and within budget. Download the case study by filling out the form.